Whenever I read a book for the first time, I often get so absorbed in the story, I read faster than I should, wondering what will happen next and missing many little bits I only notice after the second or even the third reread. Something similar happens whenever you leave a book in the shelf for a very long time. When you finally read it again, it feels as though new bits had been added to it. It’s quite an amazing quality books have, since every time you reread them it’s a bit different. You’ll maybe find an amusing situation you hadn’t noticed before, or an amazing scene you’d forgotten about. It happens quite frequently when I reread the Harry Potter series; it’s so long, it’s difficult to remember every little thing that happens to Harry. Here’s a list with 7 awesome Harry Potter moments I love but tend to forget. 1. Remember that one epic Valentine’s Day at Hogwarts? Gilderoy Lockhart went a bit over the top with his Valentine’s Day arrangements. He even hired a group of gnomes dressed as ugly Cupids who were supposed to send love letters between the students. Harry was unfortunate enough to receive an embarrassing customized love song in the middle of a hallway filled with students, Malfoy among them. The image of a ridiculous gnome/Cupid singing a love song to Harry makes me laugh every time. 2. Remember that time Fred and George stole Percy’s Head-boy badge? Percy was so attached to his newly obtained Head-boy badge that Fred and George just had to do something to it. They stole the badge and substituted “Head-boy” with “Bighead boy” (it kind of suit Percy better at the time). 3. Remember that cup of tea Dudley left in front of Harry’s bedroom? Dudley was grateful to Harry ever since the Dementor attack back in Order of the Phoenix, when Harry saved him from a soulless existence . 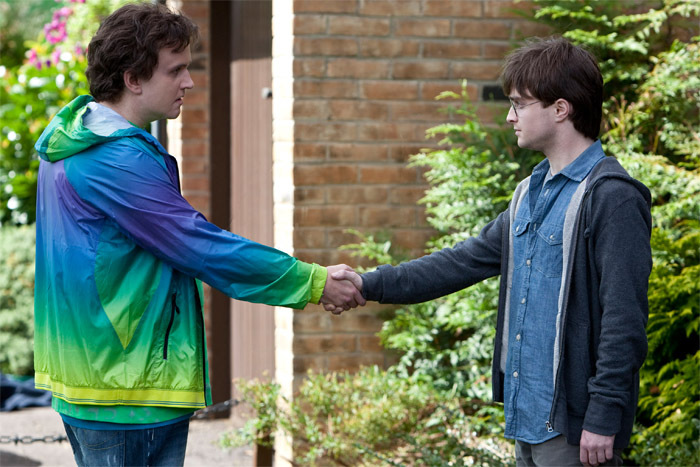 In an attempt to be nice, Dudley left a cup of tea in front of Harry’s bedroom. Harry thought it was one of Dudley’s stupid jokes until they finally parted ways and his cousin started worrying about Harry. 4. Remember that time Harry woke up Ron with a Levicorpus spell? Harry was in his bed skimming through the Prince’s Potions book, when he saw a handwritten spell. He didn’t know what it did, so he tried it out aiming at nothing in particular. 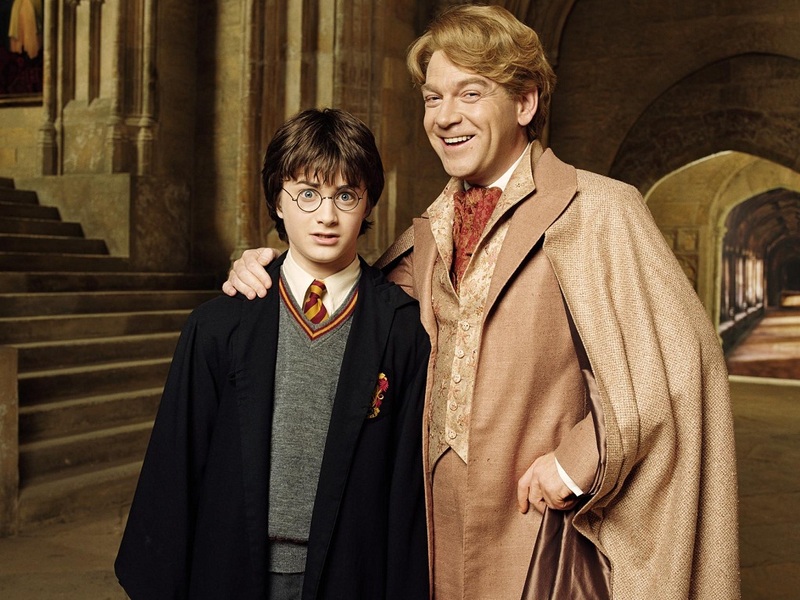 The Levicorpus spell hit Ron, who was sleeping, and pulled him out of his bed from his ankle. 5. Remember that time Fred and George left Dudley a little “treat”? The Weasleys had gone to pick up Harry from the Dursleys’ in order to go watch the Quidditch World Cup, and the twins couldn’t stop themselves from leaving Dudley a little “treat”. The piece of candy made Dudley’s tongue grow for meters and meters before Mr. Weasley could stop it. 6. Remember that time the Marauders’ Map insulted Snape? Harry had the misfortune of stumbling upon Snape in one of his little adventures with the Marauders’ Map. 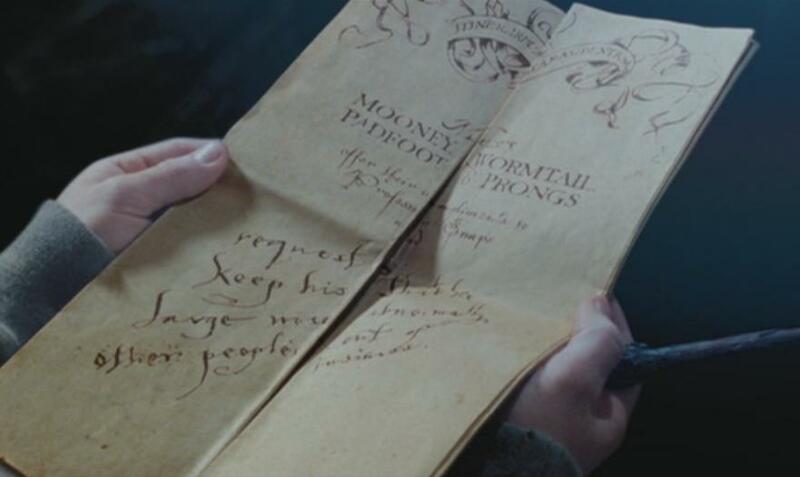 As a response to Snape’s insistence, the blank map chose to insult the Potions’ master starting with his nose and his lack of personal hygiene. 7. Remember that one time Ron threw a crocodile’s heart into Malfoy’s face? Malfoy was pretending to be a Dementor during Potions class just to annoy Harry. That was, until Ron got fed up with it and threw a slimy crocodile’s heart straight into Malfoys face. The 50 points Snape took from Gryffindor were totally worth it, in my opinion. Do you have any favorite moments you tend to forget? Moments you love and took you a while to notice? Next story Role Call: What is the Countess hiding?